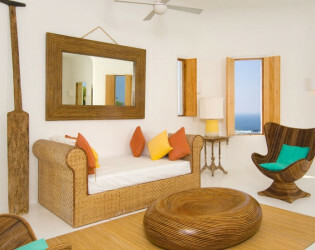 Villa Sol de Oriente boasts views of the Pacific all around. 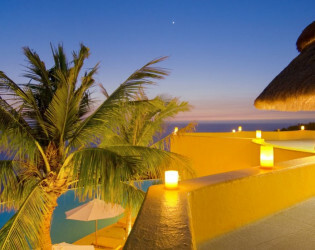 Located in the beautiful and exclusive Costa Careyes, Mexico, between Puerto Vallarta and Manzanillo, this luxury villa is just perfect for a retreat getaway, a special event or a Mexico vacation with friends or family. 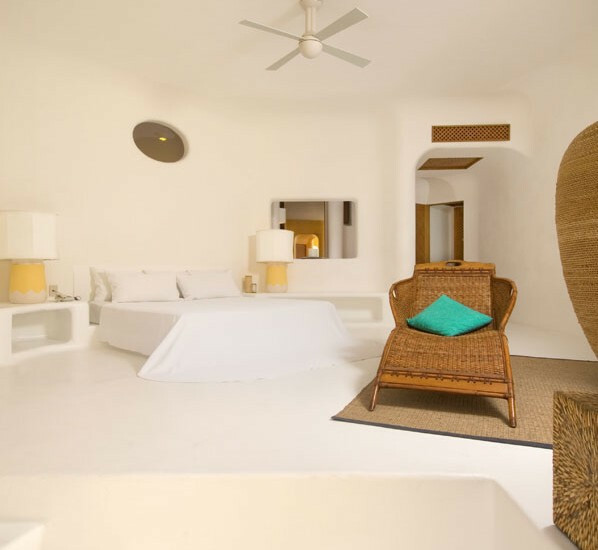 Sensually elegant with beautiful design features and touches of color that pop against the azure blue of the ocean, Villa Sol de Oriente boasts views of the Pacific all around. 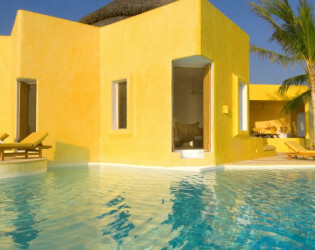 A large infinity-edge pool blends effortlessly with the ocean, concealing where one ends and the other begins. The three bedrooms in the main house have direct pool access and are complemented by a tower bedroom suite and two bedroom bungalows, which are accessed by an electric gondola. The same gondola also takes guests to a private beach nearby. 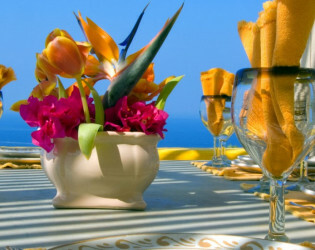 Directly upon arrival, guests can relax and be taken care of by the dedicated and discrete staff team who are there to ensure that you have a truly luxury Careyes vacation. 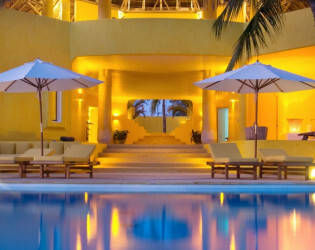 Located in the beautiful and exclusive Costa Careyes, Mexico, between Puerto Vallarta and Manzanillo, this luxury villa is just perfect for a retreat getaway. 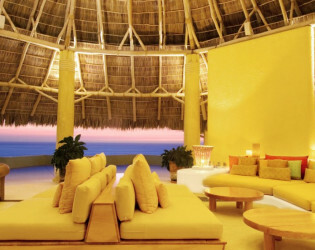 Sensually elegant with beautiful design features and touches of color that pop against the azure blue of the ocean. 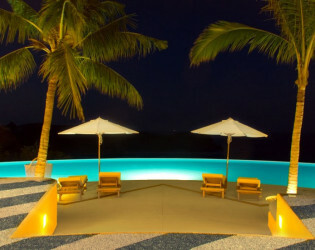 A large infinity-edge pool blends effortlessly with the ocean, concealing where one ends and the other begins. The three bedrooms in the main house have direct pool access and are complemented by a tower bedroom suite and two bedroom bungalows, which are accessed by an electric gondola.